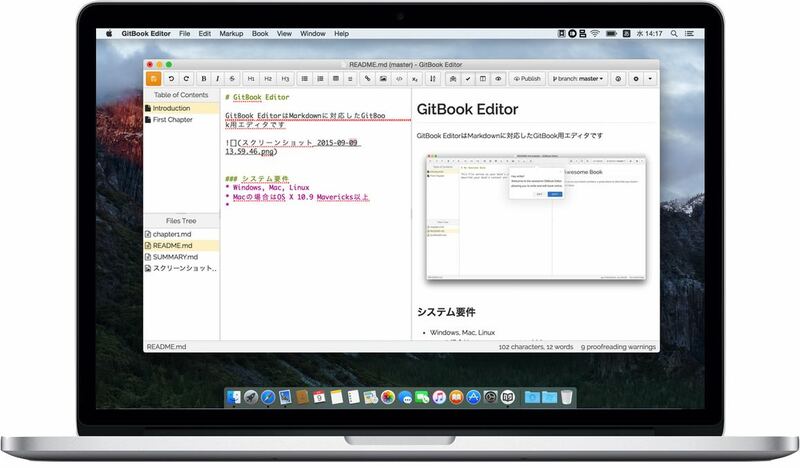 Markdown形式でドキュメントを作成しバージョン管理が可能なGitBookの新クライアント「GitBook Editer」が公開。 | AAPL Ch. Our editor works offline so you can write on trains, planes or simply at home without the distractions of the modern web. You can create, edit and manage local books and it takes no more than a single click to pull in a book from GitBook.com and only one more to sync your changes back.